Now through October 31, 2018. All aboard! 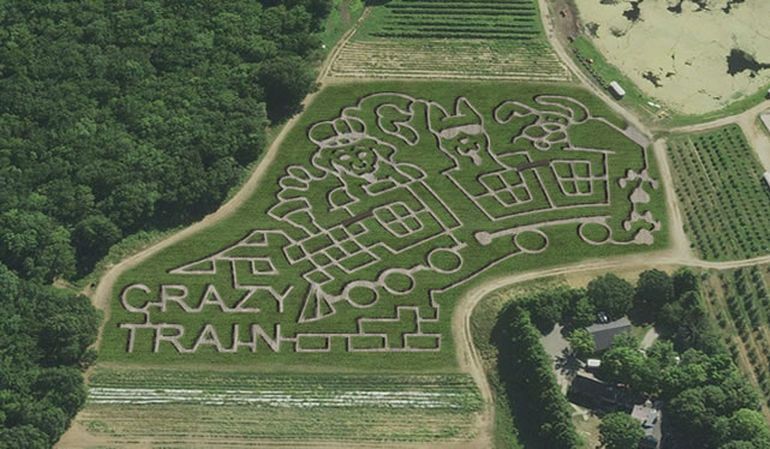 The theme of this year’s Corn Maze at Connors Farm is the “Crazy Train”. Head to this farm in Danvers, in the northeastern corner of Massachusetts, for a fun day making your way through the 7 acre corn maze. Once you’re done, enjoy their country kitchen and BBQ, apple picking, live entertainment, games, and of course a big pumpkin patch. After dark, for the brave, check out HYSTERIA, a 30+ minute walking trail that takes you on a trek through a horror filled forest, along the banks of a swamp, and around the authentic 17th century burial grounds. Yikes! Availability of activities varies, so be sure to check the Connors Farm website at the link above for their schedule.